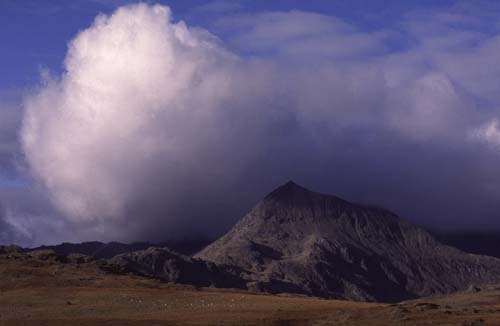 The impact in this image is created by this mass of heavy cloud sitting right over Crib Goch, one of the four mountains in the Snowdon Horseshoe. We just knew that at any minute the mountain was going to receive the contents of that wonderful cloud. These are the best conditions to do this type of photography, as long as you don't mind getting engulfed yourself!